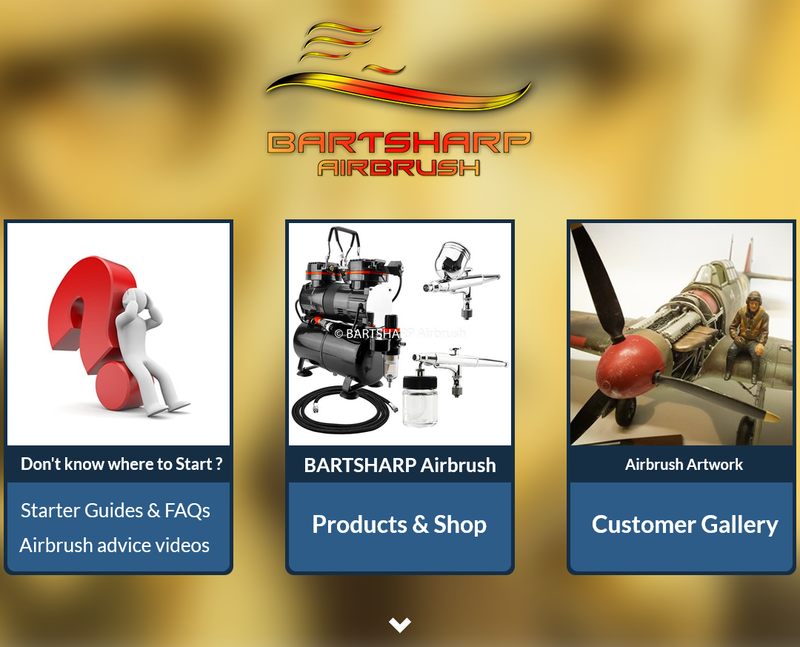 We Are Proud To Announce The Launch Of The New BARTSHARP Airbrush Website! The new site has been 2 years in the making. It includes a much more intuative layout, fantastic images and product information, starter airbrush and airbrush compressor guides and many really helpful videos. Please click on the image below to be taken to the new site with increased performance and features! Just Want To Get Started In Airbrushing But Are Confused By The Different Airbrush Models & Equipment Available? Don't Worry, We Were Once There Too! We Will Help You Select The Airbrush, Spares & Accessories Which Are Most Suited To Your Particular Airbrushing Needs. We Will NOT Sell You Something Which You Don't Need Or Is Not Suited To Your Particular Area Of Airbrushing. We Will Provide You With All The FREE Advice You Need Before You Make A Purchase. Please Use Our "Contact Us" Page To Ask Us Any Questions You Have. We Have Many Videos Which Will Help You To Understand The Basics Of Airbrushes, Airbrush Compressors & How To Overcome Problems Faced By Those New To Airbrushing. The Below Quick Links Will Take You To Where You Need To Go! BARTSHARP Airbrush was established in 2013 to provide airbrush supplies together with associated items. We supply everything airbrush; quality products with affordability and underpinned with, we are regularly told, exceptional customer service. BARTSHARP Airbrush will, simply, fulfil your airbrush online needs! We can assist those, new to the hobby of airbrushing, with help and advice regarding selection of airbrushes, airbrush starter kit / airbrush set and also with issues regarding airbrush troubleshooting. Customers rightly demand that their air brush kit includes everything that they need to start. We hold a large stock of all air brush spares including: replacement needles, nozzles, nozzle caps, needle caps and spare parts for our range of air brushes. In short we hold all of your air brush supplies! 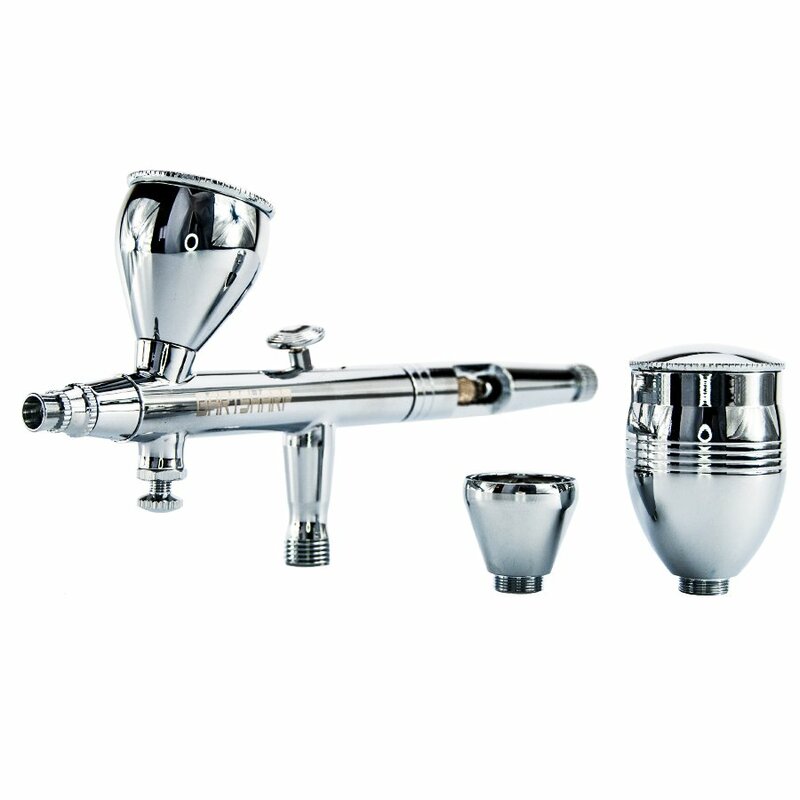 BARTSHARP Airbrush can also supply you a complete air brush set. 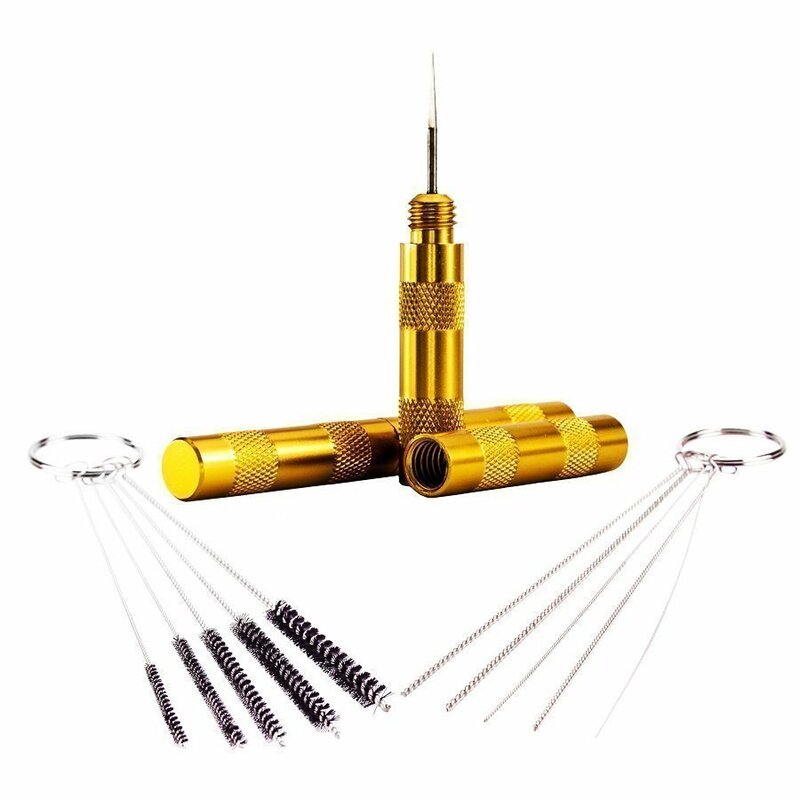 Content will depend upon actual set selected but may include: airbrush, airbrush hose, spare needle, nozzle and nozzle cap. We would also be delighted to supply you with an airbrush kit with compressor. All of the airbrushes, that we stock, are fully compatible with our range of Royal TC compressors. Our airbrushes are suitable for use with a wide range of airbrush paint, airbrush stencils, frisket film and masking tape. BARTSHARP Airbrush is an authorised stockist for Iwata Airbrush. We offer some of the most competitively priced and recommended air brushes by Iwata. Including the Iwata Neo Airbrush, Iwata Revolution Airbrush, Iwata HP-C Airbrush, Iwata Kustom Micron CM Airbrush with MAC valve, Iwata Kustom CS Airbrush and Iwata Custom Micron CM-C Plus V2 Airbrush also with MAC valve. Iwata: simply the best airbrush! Our range of standard needles and nozzles will also fit the Iwata Neo Airbrush. Our Royal airbrush compressor range, sometimes referred to as mini compressors, continues to receive fantastic reviews. The Royal air brush compressor range is recognised as being superior in build quality coupled with low level operational noise when compared with the commonly available AS186. It should also be noted that the TC802, TC80T and TC88T range of compressors are manufactured with a 1/5th HP motor. The commonly available AS186 is assembled with a smaller and less powerful 1/6th HP motor. 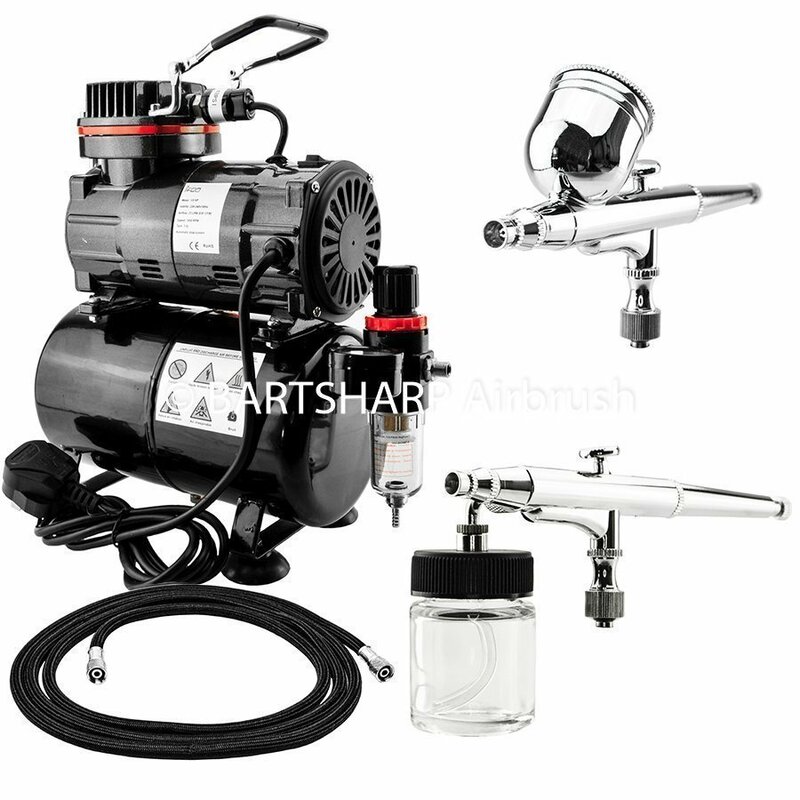 The TC80T is our introduction air brush compressor. It operates at below 50db and, although not a silent compressor, it is part of a range, specifically selected by us, because of it’s very low noise level. This makes the TC range the best choice of compressor for airbrush users demanding quality, reliability and low noise. Choose one of the TC range as your air compressor knowing that it is backed by a one year warranty and is compatible with all airbrushes. 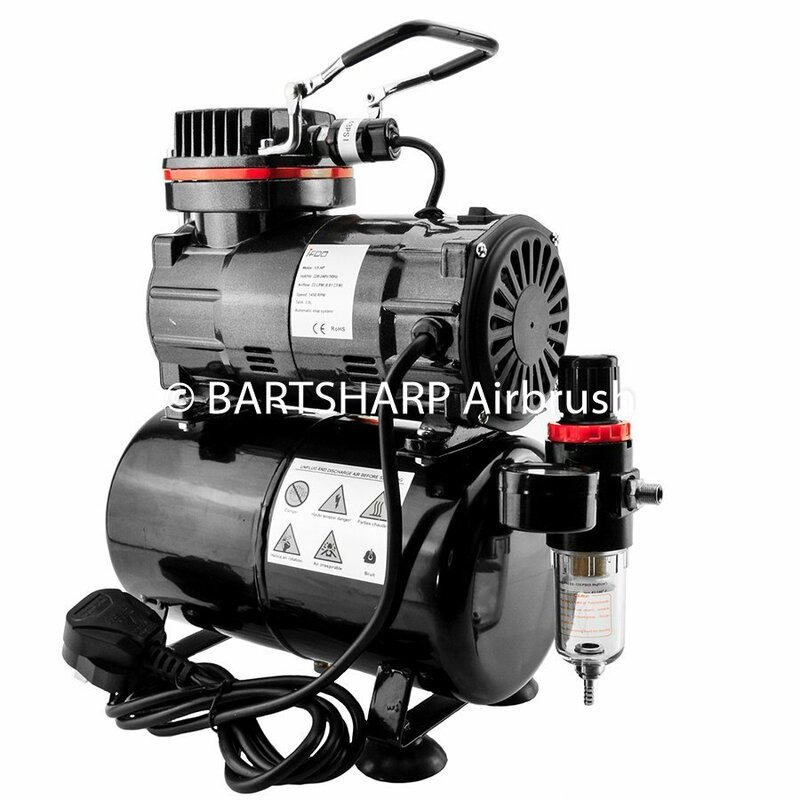 BARTSHARP Airbrush offers compressors with or without an air tank. BARTSHARP Airbrush is determined to ensure that you also have access to a comprehensive range of air brush supplies and accessories. We hold UK based stock ready for immediate shipping and will try to ensure that your order is dispatched same day. 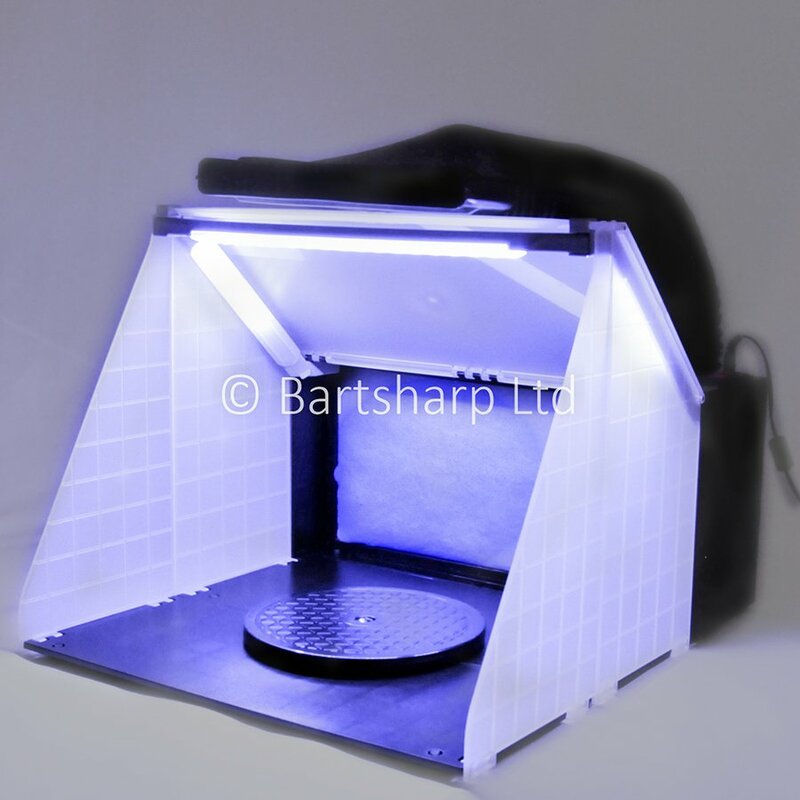 airbrush wash needles, airbrush cleaning pots, mini air filters and air regulator water traps etc……..
BARTSHARP also has a range of airbrush portable spray booth options. 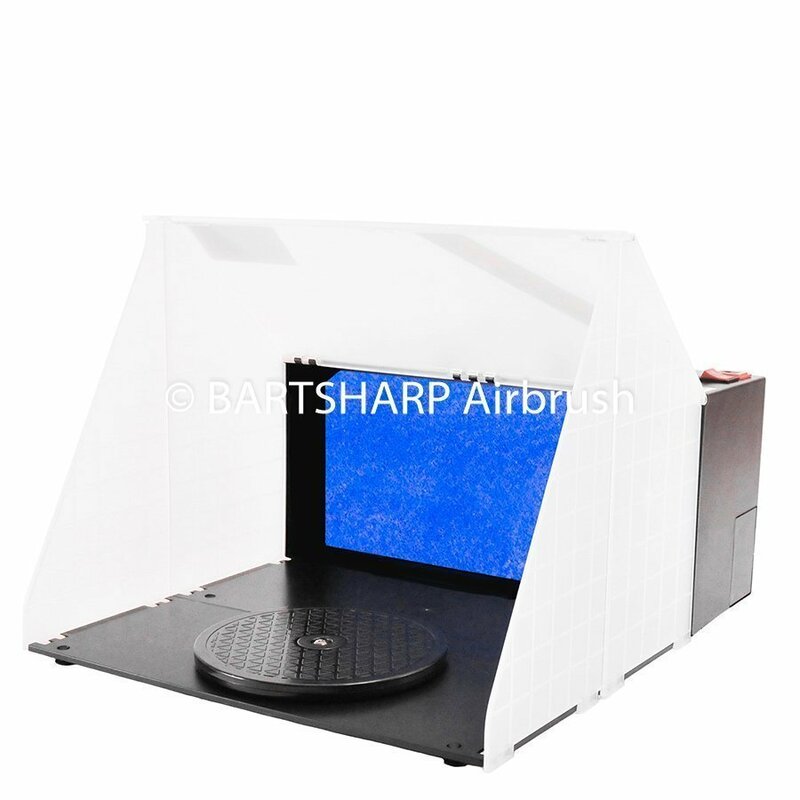 We stock three model variants of airbrush spray booths all of which will remove a large amount of air from the work space. All are supplied with a turntable and filter. We have models which also come with extraction hose and LED lights. Again, we hold spares and accessories so that you will never be left with a unit that can not be used. We have also put together a number of guides to provide you with information about airbrushes, airbrush compressors and other frequently asked questions. Please use the "Contact Us" so that we can email these to you. We know that you will be impressed by our products. The only thing that beats them is our customer service!